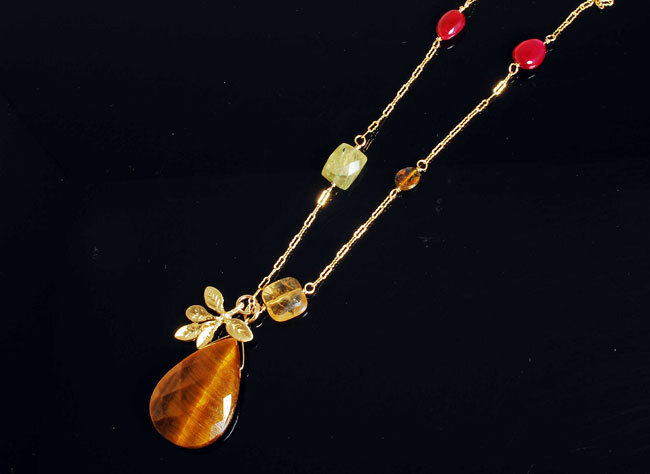 Warm up with this delicate 14K GF chain laced with cabochon rubies, faceted citrine, gold freshwater pearls, green garnets and hammered gold filled discs, and punctuated by a large faceted tiger eye to catch the firelight! Accented by a cluster of vermeil leaves. 22″ long.